Hey! I literally just rolled out of bed. Heh. 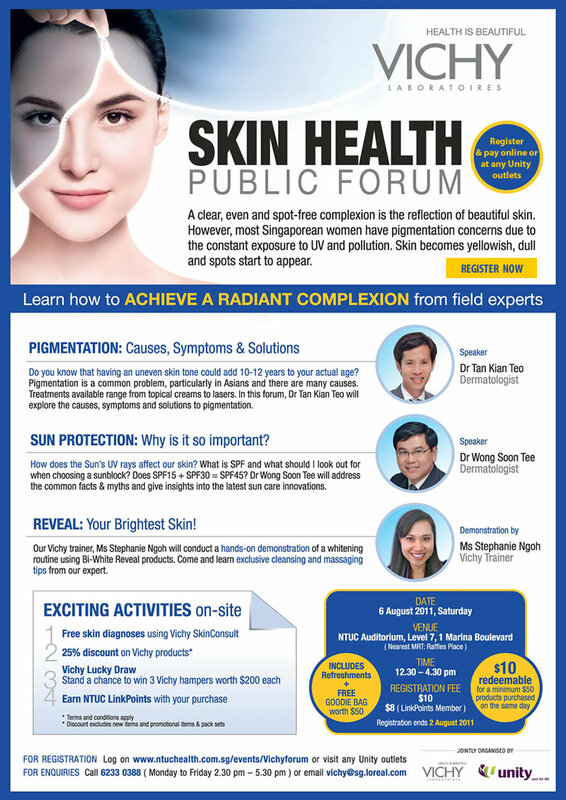 Anyway, Vichy is holding a skincare forum on August 6th! Learn how to achieve a radiant complexion from field experts! Find out from leading dermatologists about popular topics like pigmentation - its causes and treatments available, sun protection - common facts and myths as well as insights into the latest sun care innovations, and find out how you can reveal your brightest skin ever with an on-site demo from a Vichy trainer! Registration fee of $10 includes refreshments and a FREE goodie bag worth $50! Last day of registration is 2 August. So hurry and book your spot now!